Acworth Bookstore will hold book signings on January 12 and 19 from 1 to 5 PM. Part of a trilogy, Jane Suen will be signing her third novel “Primal Will”. All three novels will be available at Jane’s signing on January 12 from 1 to 5 pm. Jane Suen is the award-winning author of “Children of the Future”, her debut novel, and other works of fiction. 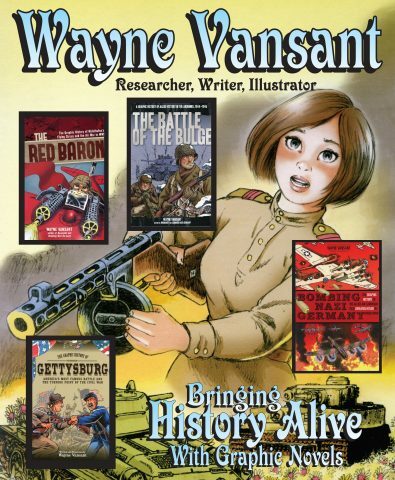 Wayne Vansant brings history alive with graphic novels. Wayne began his writing and illustration career in 1986 with Marvel Comics’ “Savage Tales” and “The ‘Nam.” He has written and/or illustrated many books on historical subjects such as ” The War in Korea”, “Normandy”, and “Gettysburg”. His current project is a Russian Front trilogy entitled “Katusha: Girl Soldier of the Patriotic War”. Most of Wayne’s titles will be available for signing on January 19 from 1 to 5 pm. Acworth Bookstore will hold these book signings in December: December 8, 15 and 22 from 1 to 5 PM. Josh Batchelder, Lt Colonel (USAF Retired), will be signing “Black Watch Diary” on December 8 from 1 to 5 pm. The book is a quick take on the experiences of a man who proudly served his country as a member of the 59th Fighter Interceptor Squadron, flying world-wide missions in transport aircraft, and later as an Aerospace Education Officer in the Georgia wing of the Civil Air Patrol. Josh is also a certified Graphoanalyst. Josh will also have be signing his four books on analyzing personalities including “The Wheel: The Art of Wheel and Handwriting Analyses”. On December 15th, Sarah Moore will be signing her newest children’s book. “Bandit Goes On A Picnic” is the story of a curious raccoon named Bandit who goes out to play in the woods with his siblings one afternoon and stumbles upon a picnic basket that has been left behind. Being the mischievous guy that he is, he just can’t resist seeing what might be inside… but he’d better be careful, because curiosity can lead you to some very surprising places! And on December 22nd, Meggan Kaiser will be signing “Everywhere for Nothing: Free Travel for the Modern Nomad”, your ticket for a high-value, life-changing, and *free* travel experience. Whether you’re a backpacker, digital nomad, retired adventurer, or resort-loving family, there are tons of ways to make money absent from your travel experience. Kaiser has combed over thirty countries and hundreds of cities, taken every imaginable mode of transport —all to find the best tips, secrets, and hacks to travel for free. Any and all would make excellent Christmas gifts! 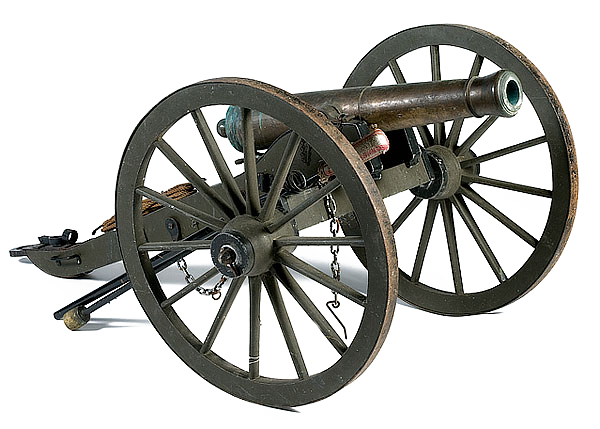 Come in and check out our numerous Dept 56 collectibles! Acworth Bookstore will hold three book signings in November: November 10, 17 and 24 from 1 to 5 PM. Smita Daya will be signing her new cookbook on November 10 from 1 to 5 pm. In addition to her cookbook that promotes healthy meals with flavor, Smita is the proud owner of Olea Oliva! located in Marietta, GA.
Debbra Stephens will be signing her latest book “Christmas Travelers” on November 17 from 1 to 5 pm. She is also the author of other inspirational books including “Prepared” and “Crowned”. On November 24th, Michael Shaffer will be signing his newest book “In Memory of Self and Comrades: Thomas Wallace Colley’s Recollections of Civil War Service in the 1st Virginia Cavalry”. Any and all would make excellent holiday gifts!! Mark your calendars! 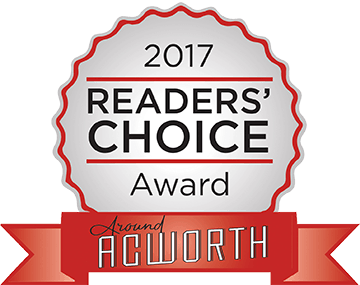 Acworth Bookstore will hold two book signings in September: September 8 and 15 from 1 to 5 PM. Part of a trilogy, David Trawinski will be signing his third novel “War of the Nocturne’s Widow”. All three novels will be available at David’s signing on September 8 from 1 to 5 pm. Brigitte Cutshall will be signing her latest book “Expecting the Good” on September 15 from 1 to 5 pm. She is also the author of “Real Things: 6 Ways to Embrace Life”. Hear the Dennis Klein Interview! 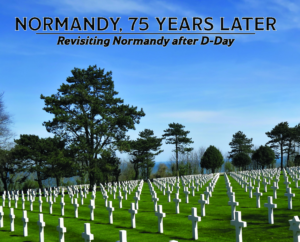 Dennis Klein, author of Normandy 75 Years Later, was interviewed by Cartersville GA radio station WBHF. Hear the entire interview here!